K.A. Linde goes back to her angsty writing roots with Cruel Money, book one of her new series, the Cruel Trilogy, and in doing so, she creates the perfect world, New York City & the Hamptons to explore and to expose the personal and professional boundaries that some people seem to not mind crossing while others strive to stay true to who they are and what they believe in no matter the cost. 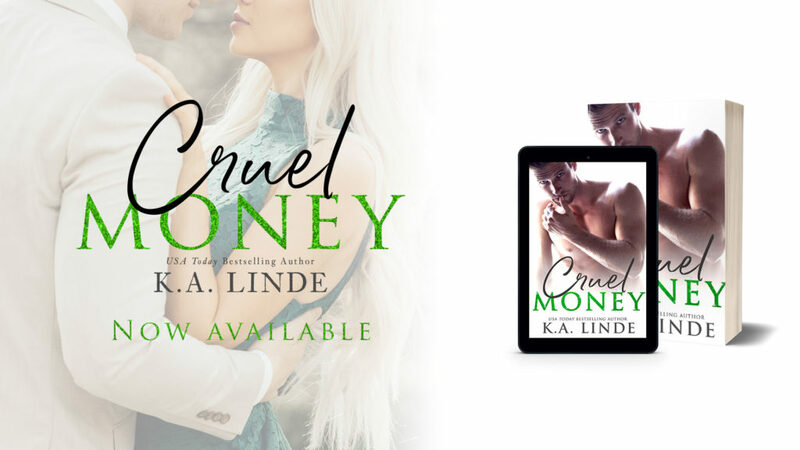 When Cruel Money begins, it’s beyond clear that Natalie Bishop doesn’t belong with Penn Kensington’s crew, not because they’re too good for her or because she’s not anywhere near their financial wealth/stability; no, the reason she should want nothing to do with this Elite Squad of New York’s Upper East Siders is because she’s better than them not inferior…because what they show on the outside is nothing like what lies within and that idea does not describe Natalie or define the woman she is, which means she’s too good for their games, their bets, and their pettiness, no matter how much Penn makes her want to play. Penn Kensington is definitely a larger-than-life man – one who is also a bit of an enigma given his family name, his need to pave his own way, and his position as an ethical professor. He’s someone who studies the ethics involved in any given situation, which I find quite ironic due to the situation he finds himself in when it comes to his second chance with Natalie, and while it’s clear that he struggles to right wrongs that could end up destroying the new connection that he’s made with her, the fact that he does nothing until it’s too late makes me wholeheartedly agree with Natalie’s assessment of Penn at the end of Cruel Money because no one who understands what it means to be an honorable man and human being should find pleasure in messing with other people’s lives simply because he can and he finds it too difficult not to prove his crew members wrong. There’s one particular woman in Penn’s inner circle that I would be more than happy to bitchslap; she’s devious and duplicitous and she doesn’t care who gets hurt in the crosshairs of her deceptions; in fact, other people’s feelings, even those in her crew, she refuses to concern herself with, which I’m hoping, in the end, will lead to her downfall. I’m not sure where Natalie and Penn go from here because it’s clear that regardless of how much time passes, how much heartache they incur, and how much space they put between them, their feelings for one another aren’t just going to dissipate, no matter how much one or the other might want them to, so heading into Cruel Fortune, I truly have no idea where K.A. 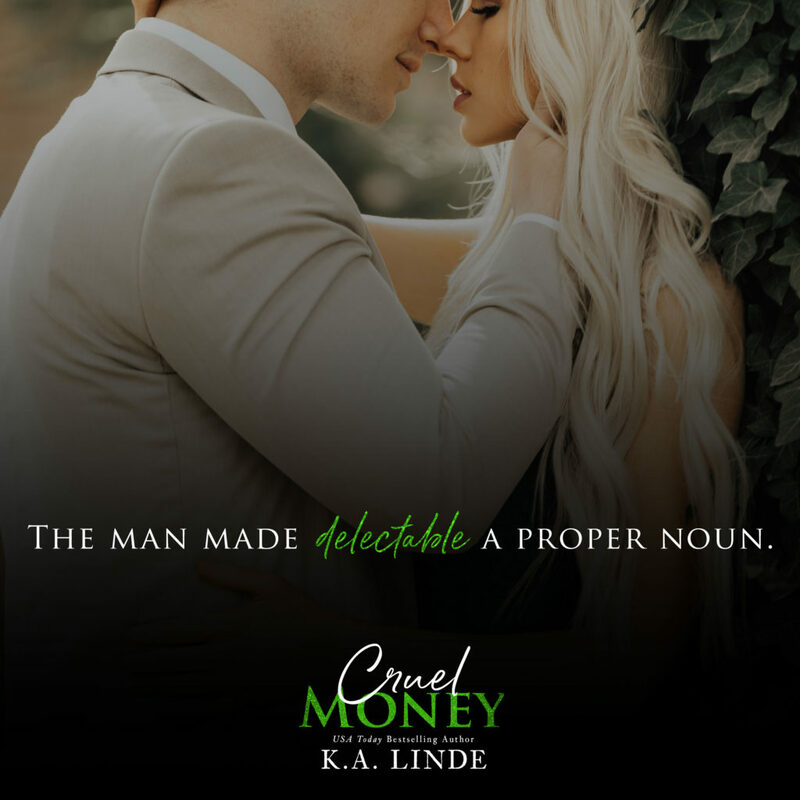 Linde plans to take her characters…what I do know, though, is that I’m sure readers for in for quite the bumpy and angsty ride.